Goats are voracious eaters, and they're so good at gobbling up plants that they're actually used by landscapers to clear out underbrush and other unwanted vegetation. But there are some plants goats shouldn't eat -- such as all the landscaping you wish to keep. Cultivate ornamental plants that goats won't eat, and keep those pesky animals from eating your landscape. The evergreen Oregon grape holly (Mahonia aquifolium) shrub reaches 5 to 6 feet in height, and despite its name is not a grape or a holly but a member of the barberry plant family. The compound leaves grow small, 2-inch leaflets in large clusters that are dark green in summer and deep reddish-purple through the winter months. Small yellow flowers bloom at the ends of the branches in late winter. The flowers become bluish berries in June. Oregon grape holly may be grown throughout most of the southern and West Coast states, as well as some parts of the Midwest and East Coast. Plant Oregon grape holly in partial shade to full sunlight. Keep the plant well watered, particularly if you grow it in full sun. Hydrangea are attractive, garden-friendly flowering shrubs. Hydrangea grow in partial to full sunlight, and resist most insects and disease as well as goats. 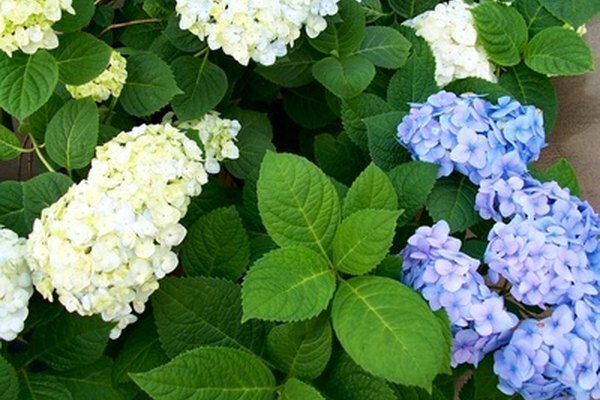 Keep hydrangea soil moist and well fertilized to keep plants healthy. Hydrangea grow in USDA hardiness zones 3 through 8, depending on the variety. Hydrangea need to be pruned annually to keep them from spreading all over the garden; cut back old growth every fall to shape the plant and encourage healthy new growth. Hydrangea flowers grow in shades of pink, blue and white. 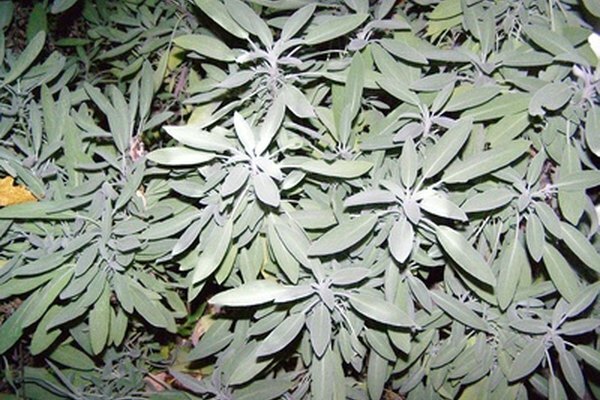 Sage (Salvia officinalis) may be grown in USDA hardiness zones 5 to 9, which makes it cold hardy in temperatures down to minus 15 F. Sage grows in full sunlight, and can grow up to 30 inches in height with a spread as wide as 24 inches. Grow sage in well-drained, dry soil. The foliage is gray-green in color and the leaves are slightly fuzzy to the touch. In June, small flowers will appear at the end of stems. Because sage is so aromatic, goats will not be attracted to it. Plant sage 1/8 inch into the soil in late spring, keeping plants 2 feet apart. Lavender is an aromatic flower that reaches up to 90 centimeters in height. The flowers grow in shades of blue and purple, blossoming in spring and summer. Plant lavender seeds in the fall or just before the last spring frost, covering seeds only lightly with a thin layer of soil. 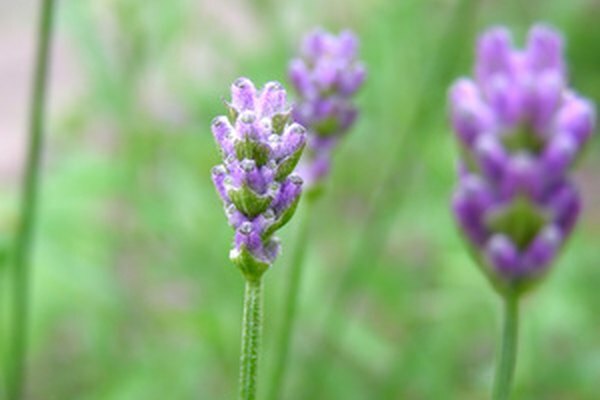 Lavender should be grown in full sunlight in well-drained soil and does better in warmer climates. Goats shy away from the sweet-scented lavender flowers.